Even on a bright day, the woods can be incredibly dark! The trees in the first image show darker than they were in reality but I wanted to keep the contrast between them and the colour of the sunlit landscape behind. The second image has been lightened! 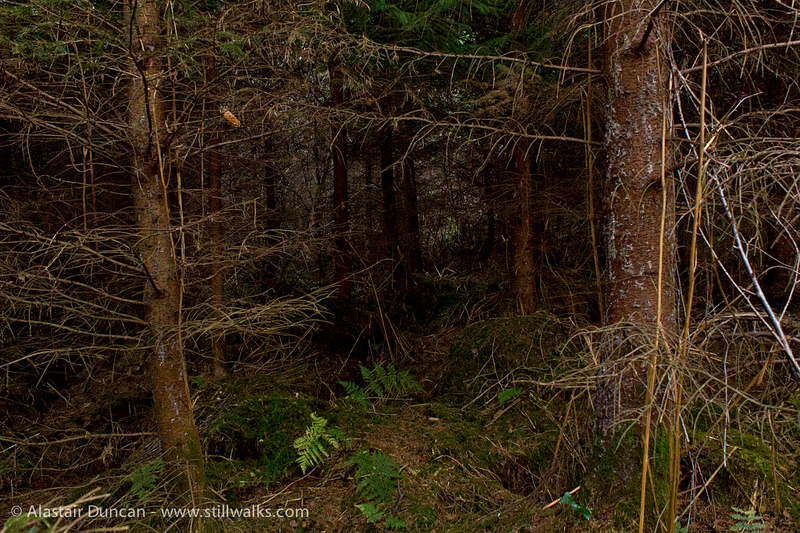 The original photo was dark but only because it reflected how dark the interior of the dense undergrowth really was. 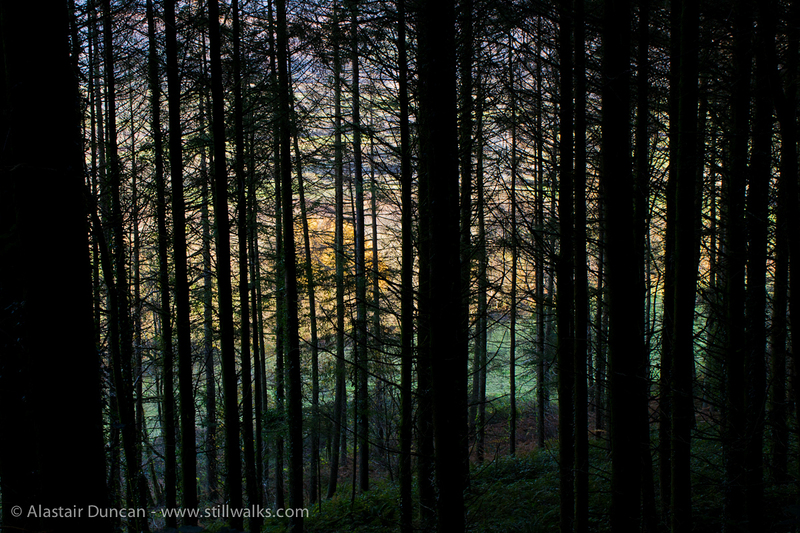 Posted in Environment, Landscape, Nature, Photography and tagged colour, contrast, dark, forest, interior, landscape, light, photography, sunlight, trees, undergrowth, wales, walking, walks, woodland, woods. That first photo is really stunning Alastair – post it everywhere!